The cables are designed for high speed data transmissions, and are suitable for installations in cable trays or on hooks. Conductors Class 1 AWG23 solid copper conductor (for K20 cable); 0.6mm annealed copper conductor (for L120 cable). Insulation Solid polyethylene (for K20 cable); Foam skin (cellular PE + solid PE) (for L120 cable). Cabling Element Two conductors are twisted together to form a pair (for K20 cable); Four conductors are twisted together to form a quad (for L120 cable). Core Wrapping (for L120 cable) Non-hygroscopic plastic tape with overlapping. Individual Screen (for K20 cable) Alu/polyester shield on each pair. Drain Wire Tinned copper drain wire, 0.5mm nominal diameter. Inner Sheath (for K20 cable) LSZH. Armour (for K20 cable) Galvanized steel braid armour. 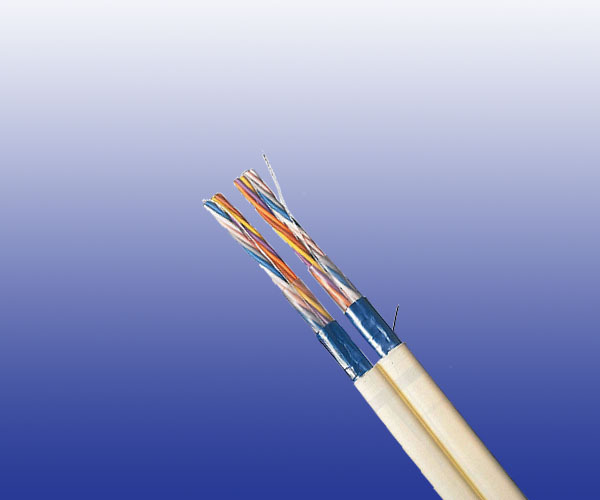 Armoured L120 Cables: Tinned copper braid armoured cables can be offered upon request.